It is now 4:59 AM HAT Time on Sunday, April 21, 2019. Relay Online Registration closed at 11:59 PM on Mon, Dec 5, 2016. Sanctioned by Snake River LMSC for USMS, Inc. Date: The 3000-Yard ePostal or the 6000-Yard ePostal must be swum in its entirety on or between September 15 and November 15, 2016. Individuals may enter both events. All entries must be submitted electronically. Deadlines: Individual entries must be submitted by 11:59 P.M. HAST (Hawaii time) on November 25, 2016 (see Records). Completed split sheets for individuals who break national records must be received by the event director by November 25, 2016. All relay entries must be submitted by 11:59 P.M. HAST on December 5, 2016. Eligibility: This is a USMS-sanctioned event. 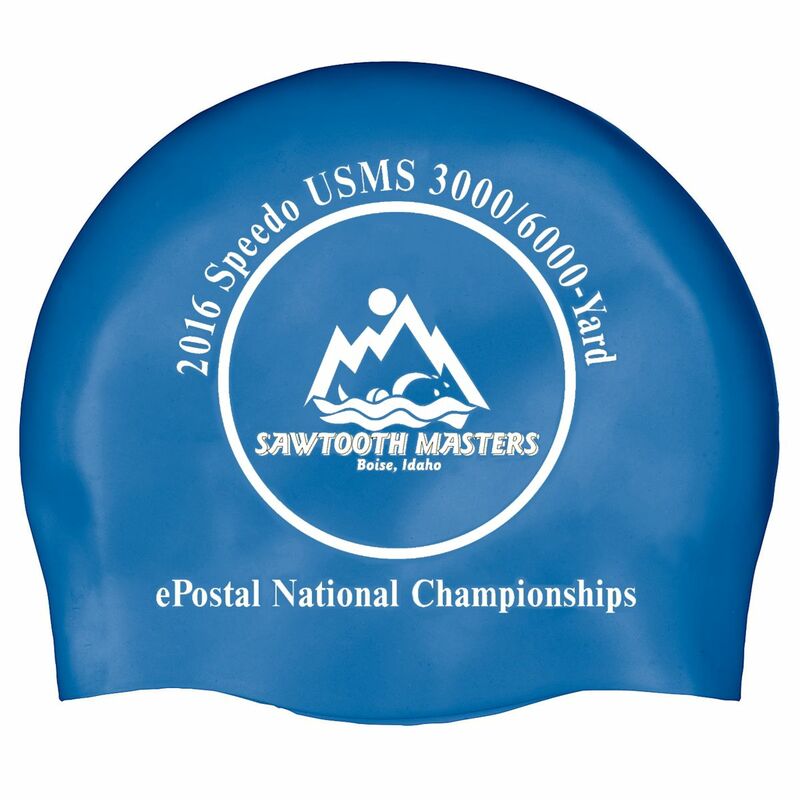 All participants must be registered for 2016 with USMS (or the equivalent FINA organization for foreign swimmers) on or before the day of their swim. Foreign swimmers are not eligible for USMS records or All-American status. Entries for USMS swimmers will be verified automatically. All foreign entrants must submit a copy of their equivalent organization’s 2016 registration card to the event director by email by November 25, 2016. Fees: $12 for each individual entry ($15 for foreign swimmers) and $16 for each relay entry ($20 for foreign swimmers). Fees are non-refundable. Fees must be paid by credit card and will be processed by "ClubAssistant.com Events". 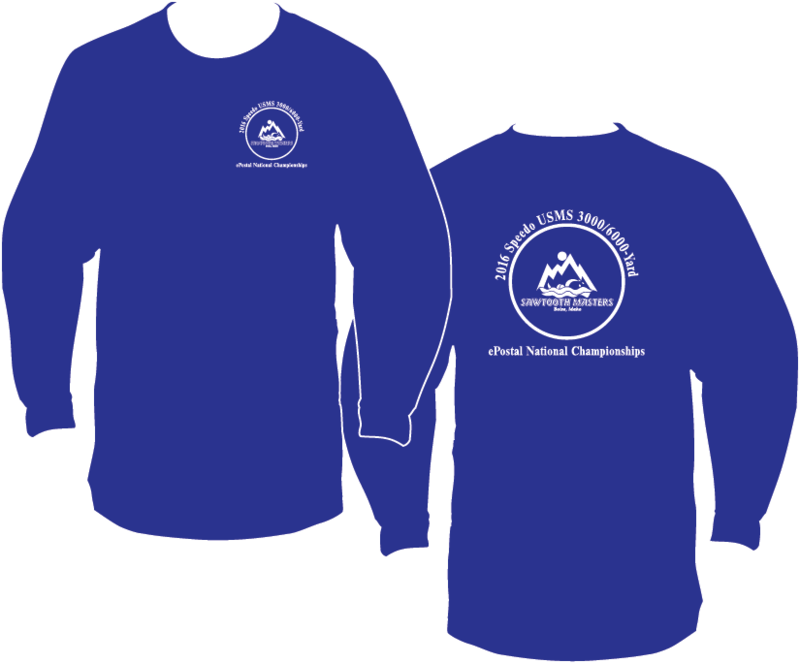 Commemorative Gear: Long Sleeve Dri-Fit T-shirt is $22 for US residents, $24 for outside US. Caps are $6 for US residents, $9 for outside US. See images below, front and back. If you have completed event entry already, and would like to purchase a commemorative shirt, click here for the public shopping cart. Rules: The 2016 USMS Rules govern these events, including USMS Rule 102.12.1 regarding swimwear. Each swimmer must have a verifier to count laps and record cumulative splits every 50 yards or 50 meters. The event may be timed with either a stopwatch or an electronic timing device. One person may serve as a counter for a maximum of two swimmers per heat. Records: New national age-group records will be reflected on the USMS long distance national records webpage for 2016 and will be printed in the 2017 USMS rule book. Completed split sheets for individuals who break national records must be received by the event director by November 25, 2016. Scan and email to pjcycling8@gmail.com. Results: Complete results will be available online. Preliminary results will be posted at www.usms.org by December 7, 2016, and will be available for two weeks. All corrections must be sent to the event director during those two weeks. Final results will be posted approximately one week later. Relay Entries: The entry period for relays will open on November 28, 2016. Relay entries will be displayed by USMS club and will include the entrant's time. You will only be able to view your USMS club's entries. Relay entries must be submitted by 11:59 P.M. HAST on December 5, 2016. Questions: Contact the event director, Paula Moores pjcycling8@gmail.com. Online Registration closed on 11/25/2016.